After armature and bone measurements are made, dog muscle and skin is built up. During a 3-dimensional art process, the artist constantly measures and adjusts the sculpture. Completion in plasticine. 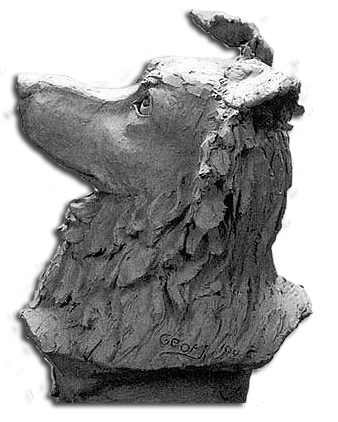 Photos are taken and sent to the patron prior to bronzing. A mold is made and the wax process begins. The wax study is touched up, the foundry performs the lost wax process and the sculpture becomes bronze. 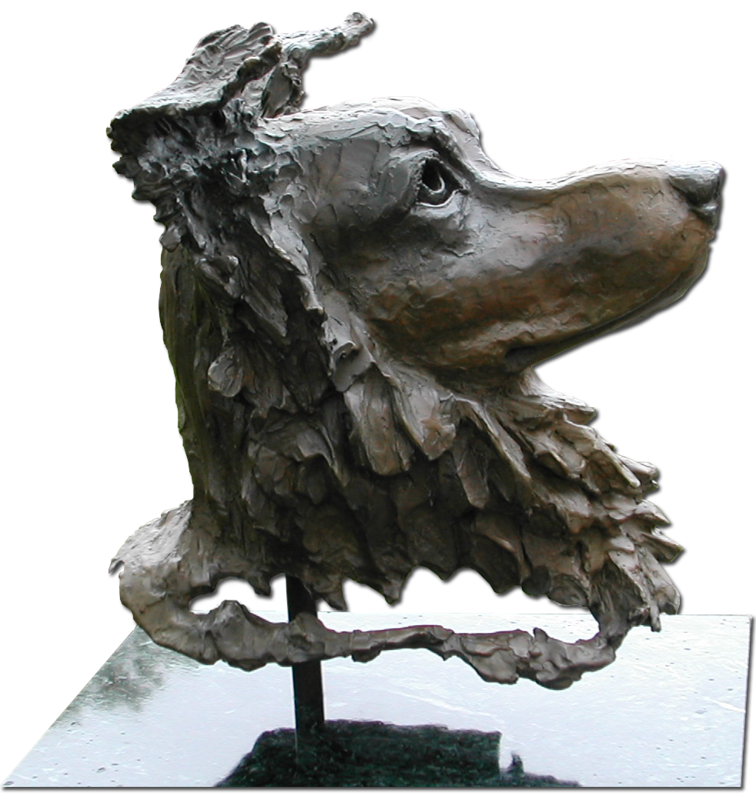 A brass pole is welded inside the dog’s head. (This symbolizes the cervical vertebrae of the dog.) A patina is applied to the piece. The brass rod is now screwed onto a marble base and finished.